This article is about the Type. For the Alignment, see White Magic (Alignment). LIGHT (光（ひかり） Hikari) monsters are the historic opposites of DARK Monsters. "Blue-Eyes White Dragon", the components of "XYZ-Dragon Cannon", and monsters such as "D.D. Warrior Lady", and "Honest", are LIGHT monsters. LIGHT monsters are represented often by Fairy, Spellcaster, Thunder, Machine and Warrior-Type. Some LIGHT cards focus on overwhelming offensive power, such as the "Blue-Eyes White Dragon" and the fusion forms of "Cyber Dragon", but others focus on positively reinforcing the player instead of directly damaging the opponent, such as by increasing their Life Points or allowing the player to draw extra cards from their Deck. LIGHT monsters will in general either be highly offensive or highly defensive with little middle ground. In Decks themed around multiple Attributes, the trump card of the set will often be LIGHT, such as "Rainbow Dragon" for the "Crystal Beasts", "Elemental HERO Shining Flare Wingman", and "Elemental HERO Neos" in "Elemental HERO" builds, and so on. Some LIGHT monsters almost always reveal your strategy due to the follow up that would happen if the strategy succeeds in being used. Notably, the Attribute of the Monsters do not necessarily indicate any sense of morality and alignment. 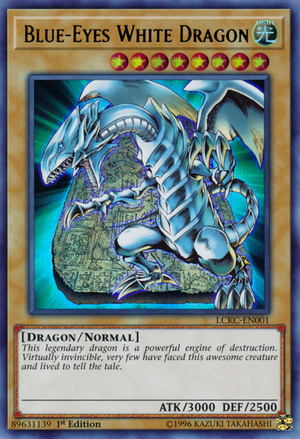 An example made can be from "Blue-Eyes White Dragon", for as the monster represents the purity of Kisara's soul and draws its powerful existence from her Ka, it being known as an engine of destruction and being put to use by less than wholesome players, such as an egotistic and twisted younger Seto Kaiba, showcases the Attribute's possibly for good or evil, as with any attribute. Plenty of LIGHT Archetypes do exist, representing good, heroism, virtue, valiance, and divinity, such as "Constellar", "Lightsworn", "Utopia", and "Noble Knight". Furthermore, some Fiend and Zombie monster are LIGHT-attributed. This shows that not all monsters of those attributes are evil and corrupted, and LIGHT also symbolizes redemption, repentance, salvation, atonement, firm faith in virtues and purification. Being LIGHT monsters however, neither guarantees that such of an attribute are saintly, pure and virtuous, with LIGHT also representing elitism, the lurid and unwholesome made existent, decadence and bending light to create illusions of good and distortions of others. This can be seen in monsters as the Fabled, Worms, and Arcana Force are antagonistic beings according to card lore or the anime, which also features an evil entity of LIGHT. Although not exclusively, almost all monsters that appear to have electric-based powers and which are not Thunder-Type are LIGHT Attribute. Examples include "Super Conductor Tyranno", one of only two LIGHT Dinosaur-Type monsters in the game; "Voltic Kong"; "Elemental HERO Thunder Giant"; "Gilford the Lightning" and "Number 91: Thunder Spark Dragon". LIGHT-based archetypes include: "Silent Swordsman", "Silent Magician, "Arcana Force", "Batteryman", "Fabled", "Hieratic", "Satellarknight", "Star Seraph", "Lightray", "Lightsworn", "Noble Knight", "Ojama", "Photon", "Galaxy", "Constellar", "Vylon", "Bujin", "Watt", "Worms" , "The Agent", "Utopia", "Artifact" and "PSY-Frame". This page was last edited on 4 April 2018, at 00:50.